Though the study's title, Isocaloric Fructose Restriction and Metabolic Improvement in Children with Obesity and Metabolic Syndrome (free full text link), definitely doesn't read like Buzzfeed clickbait, it's bound to make the news. Its lead author is UCSF anti-sugar crusader Dr. Rob Lustig and the study highlights the impact of a 10 day experiment whereby 43 children with obesity and metabolic syndrome saw their added sugar and fructose replaced with starch. The rationale Lustig presents for the study is straightforward. The world is seeing a rise in the incidence of chronic non-communicable diseases in childhood including of course obesity, type 2 diabetes, heart disease, dyslipidemia, and non-alcholic fatty liver disease. Many finger the Western diet as the primary culprit and it's no secret that Lustig believes that it's the added sugars in the Western diet that fuel illness. What he and his lab set out to do here was to see if reducing added sugar and fructose while keeping calories and carbohydrate levels constant, would have an impact on the metabolic parameters of metabolic syndrome - an outcome you would expect if added sugar had unique risks. The study measured oral glucose tolerance (OGTT), insulin, blood pressure, lipids, liver enzymes, body composition, and body weight, and through the intervention dietary sugar intake reduced from 28% to 10%, and fructose from 12% to 4%, of total daily calories. 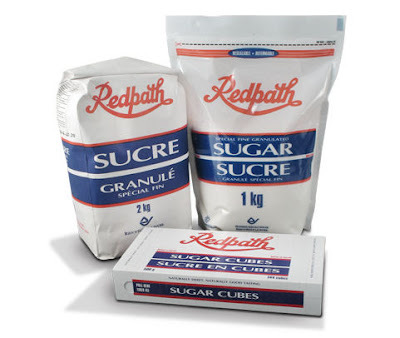 In a bid perhaps to preserve some realism, the reduction in sugar occurred not by way of sudden and complete home cooking, but rather included the use of no- or low-sugar added processed foods that were purchased in local supermarkets and was noted to include items such as turkey hot dogs, pizza, bean burrritos, baked potato chips, and popcorn. The results saw diastolic blood pressure decrease by 4.9mmHg, fasting blood sugar by 0.3mmol/L, fasting insulin by 53%, peak insulin by 56%, and insulin area under the curve (for the OGTT) by 57%. There were also decreases seen in triglycerides, liver enzymes, and lactate, while glucose tolerance was found to increase. Confounding the results was a slight weight loss (1kg) whereby perhaps the benefits seen were consequent to the loss and not the reduction in added sugar. Though that's a remote possibility (remote in that we're talking about just a 2lb loss), looking at the 10 children whose weights remained constant, their results were in-line with the group's as a whole. Also confounding the study was the use of dietary recall. Again here, I look forward to the day that we have more robust means of tracking dietary intake. The study's also small and short which too will lead to critique. Ultimately this study furthers Lustig's assertion that added sugar and fructose are uniquely dangerous to health beyond their simple contributions to excess calorie consumption and weight. Of course the bottom line for all of us isn't really news. Calories count, but so too do their quality.